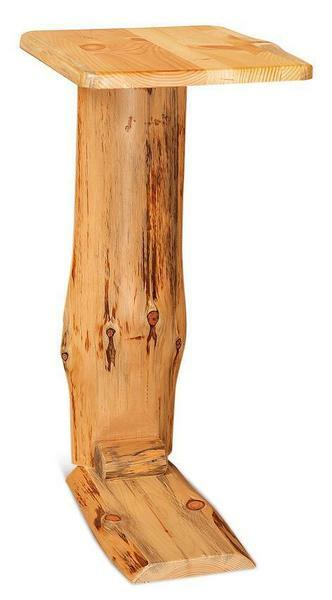 This rustic log sofa server is the perfect side table to pull right up to your sofa. This table is handcrafted by skilled Indiana Amish craftsmen from rustic logs. Choose from rustic pine, red cedar or aspen logs as well as a varnish. Please call one of our friendly Amish furniture sales associates for additional information or ordering assistance on this handy Rustic Sofa Server. Dimensions: 27" x 14" x 12"